HTML stands for hyper text markup language. It is a hyper text markup language used to create web pages. It is written in the form of HTML elements. Hyperlink refers to a series of connections in a page to other pages. Markup language means tags are used to define the page layout and elements within the page. Its main focus is on how to display information on web pages, i.e. the webpages we see on the internet are written using HTML code. 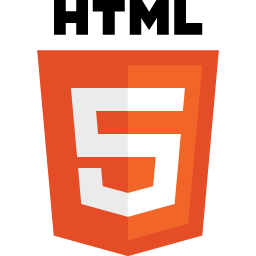 HTML documents are interpreted and displayed by web browsers. Some famous web browsers are: Google Chrome, Mozilla Firefox, Opera, Safari, Internet Explorer etc. Video: The video element allows the users to stream video from a website. Figure: The figure element helps display visual content such as photos, illustrations, diagrams etc. Section: The section elements, such as divs, help organize webpage content into thematic groups. NAV: It is used for that part of a website which is linked to other pages of the website. Header: It allows to group together introductory elements on a website like logo, navigation items, search form etc. Footer: It is located at the bottom of a webpage. It generally contains copyright information, links to social media and navigation items.